Sony also revealed that 9 million copies of Marvel’s Spider-Man have been sold worldwide, as of 25th November 2018. More copies have obviously sold over the holidays thanks to PlayStation Store discounts. It means one in ten PS4 owners have a copy of the game. 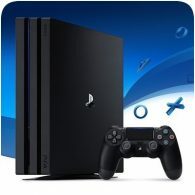 The PS4 will likely exceed the 100 million mark this year, if the console continues to sell well.